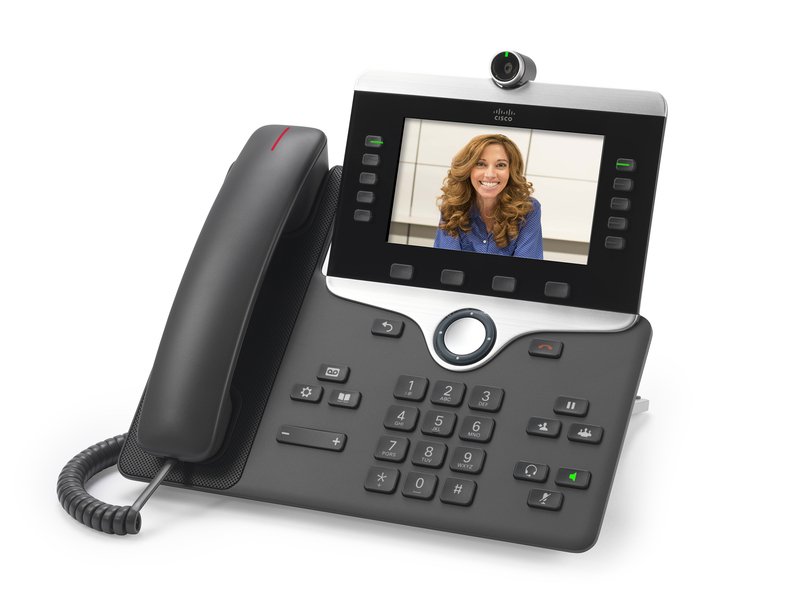 HomeWhy video phones will never become mainstream – but telepresence is here to stay. 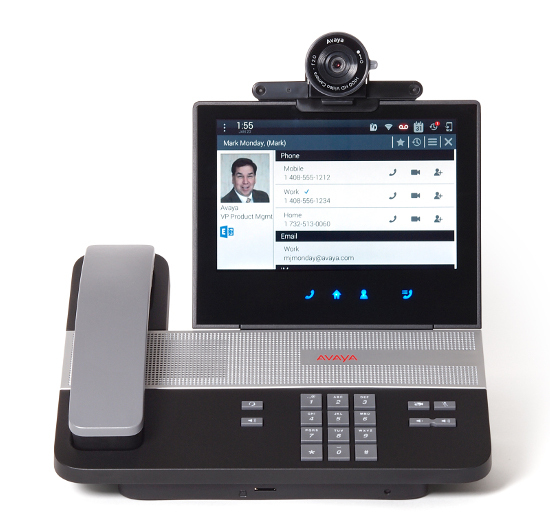 Why video phones will never become mainstream – but telepresence is here to stay. After being in telecom and collaboration for almost 20 years, I have watched the video space evolve over many years. Everyone seemed to think they had “the next big thing”. Telepresence is not point to point or desktop video. These are two very different technologies and you have to treat them different if you are going to respect each – because to compare them just is not fair. This article might seem lengthy, and I am trying to avoid a history lesson, but my opinion is based on the history. So let’s take a walk back in time. The advent of video calling goes back to the 60’s when AT&T came out with the Picturephone – however we will not go back there. These systems locked to ISDN-BRI technology over the PSTN, you had 128K or maybe 512K if you wanted to combine lines, but then you had to call someone who’s system would talk to yours. H.320 video was supposed to make things “just work” but it didn’t always work that way. The quality was decent, and the system even had a Pan/Zoom/Tilt (PZT) camera which was of good quality, and the audio was PSTN quality. Later versions worked with IP, but firewalling issues, bandwidth constraints (remember this was the early 2K’s) and other problems plagued the adoption of such products. 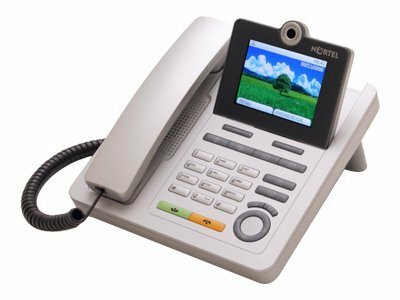 In walks Nortel, a great Canadian company who continually innovates and in they walk with the first real mainstream enterprise ‘Video phone’ with the 1535 SIP Phone (Yes others came before it, but this is a mainstream conversation). The quality wasn’t great, but it was a integrated office video phone over IP. 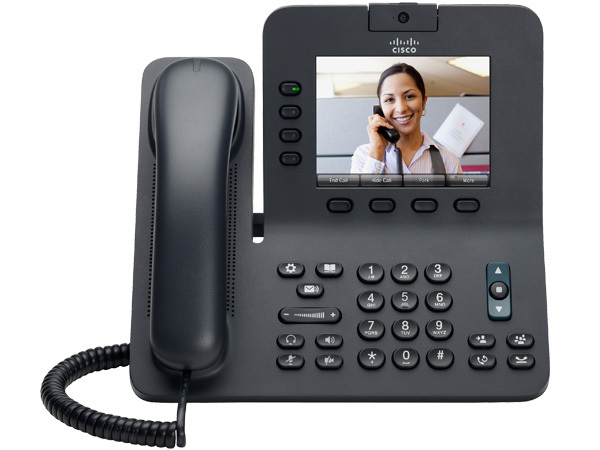 It was expensive, but you can pick them up for about $50 online now and they can be connected to Asterisk for FreePBX and other systems as well, so if you want some cheap SIP video phones for home – it is a good option – but why? Before Cisco purchased Tandberg in December of 2009 they were one of the leaders in the field, and many organizations, including Cisco were re-branding their products. 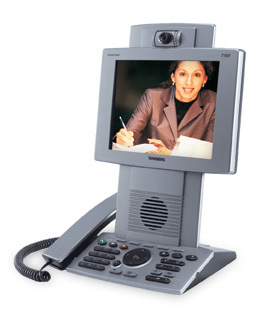 Even today it isn’t difficult to see how the Tandberg T3, Looks like what became the Cisco CTS 3000 Telepresence. If Tandberg had the marketing prowess of Cisco, they would have been even more successful, but it took Cisco’s marketing to bring these products mainstream. Getting back to why we are here.. Tandberg and Cisco launch the absolute desk hog called the 7985, which was basically a re-badged Tandberg 150 MXP – it ran a modern H.264, but cost $3000+ and ate up all of your desk space. Not very popular, they were in demo centres all over the place and mostly executive offices who got them for free from Cisco – because they were hoping for adoption. That didn’t work. Keep in mind that many shops back then didn’t have the WAN services to really support this kind of bandwidth use, the $3000 desktop phone was only part of the cost, and that problem doesn’t change today. This in my mind — is the perfect product. The phone is just a phone, and in this case it could be almost any phone. Even low end phones with grey scale phones worked with it. Unfortunately due to poor marketing and high cost, it didn’t catch on. Why is this perfect? How often are you LOOKING at your phone? Chances are you are looking at your PC screen, possibly collaborating on a document or maybe taking notes – but chances are, you are not looking at your phone. It was also SIMPLE, a very small little applet detected the phone you were connected to, and when you got on the phone – video just started. Easy to install, easy to operate. Except — Cisco Unified Video Advantage aka CUVA – is discontinued. It also started out very expensive, with a re-badged Logitech Camera with a Cisco badge on it, and custom firmware, it required this special Cisco Camera at a high price. They removed the requirement for the Cisco specific camera later on – but the product eventually just died. Ok now we are getting somewhere. Cisco offers up a Telepresence / Video unit with a big enough built in monitor that you can use this as your monitor, and do Video on it. This makes a little more sense, but at $2500+ for the smallest version, it isn’t cheap and remember you still need the back end licensing and infrastructure to make it work. Lync and Jabber Are Getting it Right. For desktop video – the quality will never be a factor in my opinion – we have quality that is good enough. Video guys keep pushing the quality up, but it’s much like audio guys, they all push 24/96 — but the average consumer is fine with a lossy MP3 file. This is no different, 480P is fine, the user cannot tell the difference if it’s 1080P — especially with small video windows. Remember what I said before – nobody looks at their phone. 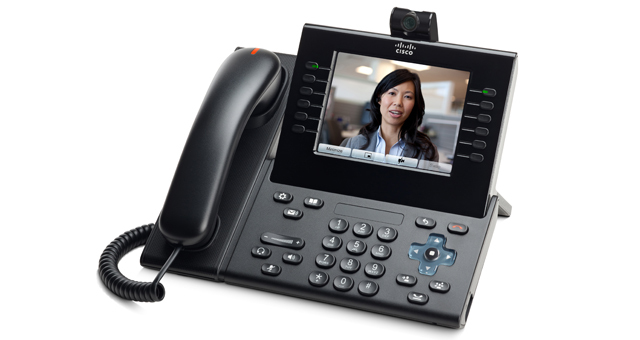 Cisco and Avaya are all touting 720P or better packing phones with high fidelity screens and high end cameras. I have two comments. In modern terms, these are costly. I just do not see these as taking off. That’s the bottom line. 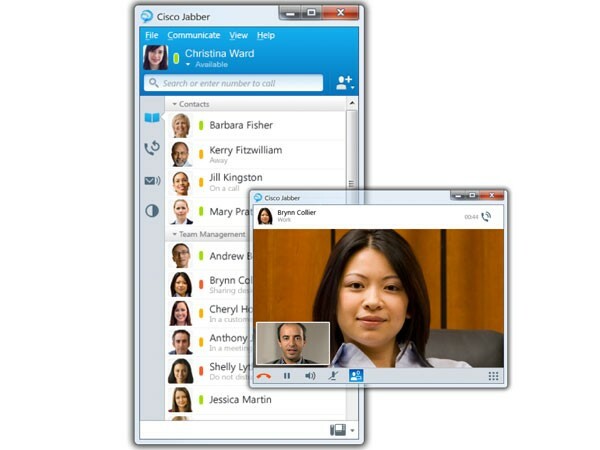 Microsoft Lync and Cisco JAbber are what I call the “Just good enough” solution. For the record, I am not bashing these products at all, infact on the contrary. Microsoft seems to have captured the “Good Enough” very well. 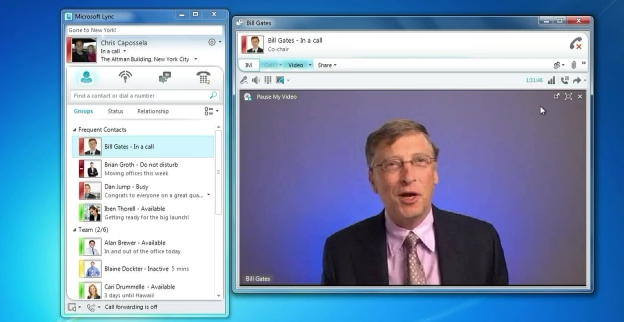 Many clients aready own Lync, many have Lync licenses via Office 365, the service setup isn’t that bad. 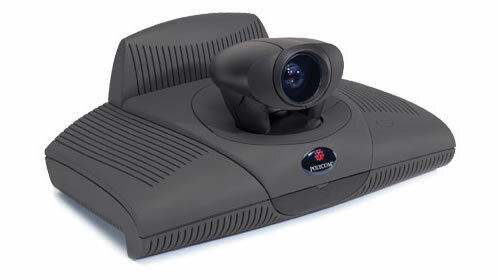 It does basic video/audio conferencing out of the box, the client is easy to use and even the room systems are pretty good, the Round Table isn’t telepresence, but it gives you 90% of what you need for around $5,000. Even Cisco’s SX20 will cost you double that by the time you license it and get it all running – not to mention it is arguably harder to use. The idea was as you can see – extend the desk, full size people, amazing audio and visual experience, a high end engineered light bar. Cisco even issues specs for your room design, wall coverings and other things to make this a real experience. Everyone that used it the first time went “WOW!”. They also went WOW At the price – $300K for the system and $70K a year for support and a back end that could power NASA to make it go — but — nobody else was doing this, it was disruptive. 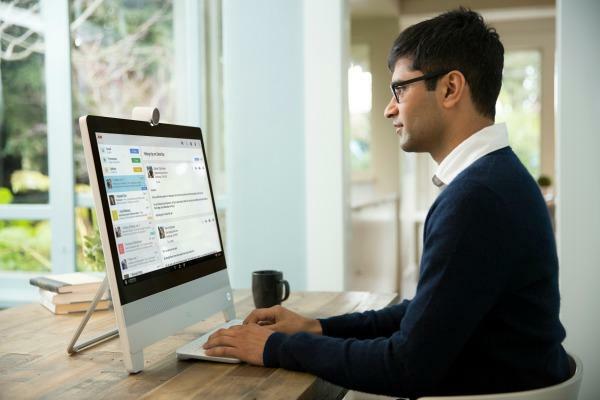 This product continues to push the limits and show what can be done with telepresence and Cisco is taking full advantage of their Tandberg acquisition. The new Cisco IX5000 is really something to behold, the cameras do not move, they are 4K, and they process for what they need. Take a few minutes and watch this video of the unveiling, this product is a work of art, and has amazing features. 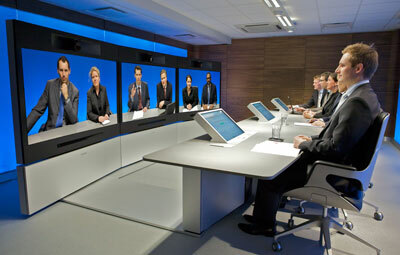 Telepresence = feel like you are there. 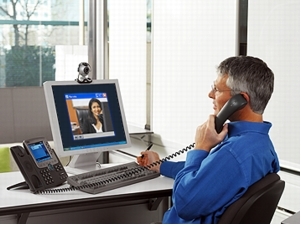 Telepresence does not mean “See the other person” it is much more immersive than that. The home executive is still getting the option for the DX series, you can join telepresence sessions with the utmost quality, a F2.2 lense and 63 degree view, a high quality screen and an “App” capable experience. It runs Android in the back today – but that is changing with Cisco optimizing the experience with a new operating system. 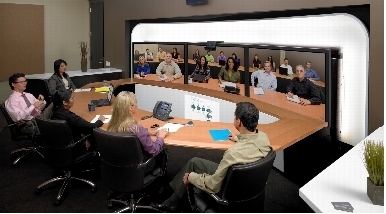 The Telepresence should not be considered in the same ball park as point to point or desktop to desktop style video. This is for full meeting room collab. If you purchase Telepresense you know what you are getting into, a very high quality product, well engineered that provides a very high end experience. It isn’t designed to compete with desktop. While the DX70/DX80 solutions do bridge that gap – I think those will stay relegated to desktops of executives, I would be surprised if we saw mass adoption. Companies like Cisco need to keep the “Just good enough” crowd happy. This is where 90% of people operate day to day. The Video Advantage feature set was simple, and it worked, and makes more sense to me than video desk phones do. I have heard rumours that the Jabber client may add this feature in the way of escalating a voice call on a controlled phone to video on the desktop, but the question is how easy will it be. Hopefully it will enable very easy, and quick ad hoc video calling, because that in my opinion is where the future of desktop video lies.